At the very competitive sector of Online Hotel Reservations, we offer our partners an attractive bussines oportunity. 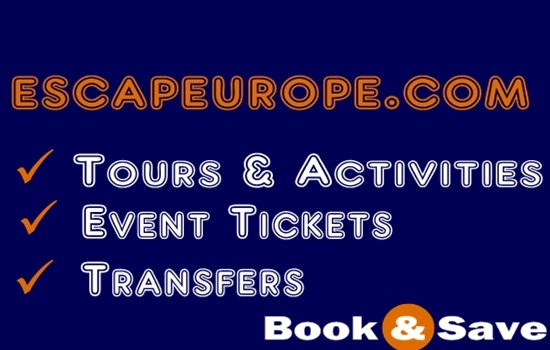 By registering your hotel at escapeurope.com, you can increase sales and maximize your profits by reaching thousands of leisure & bussines costumers that visit our website for their next trip. Registration with escapeurope.com is absolutely free as you don't have to pay anything to join. If you are interested in joining our "hotel partners program" please send us an email at and one of our representatives for your area will contact you soon. Basic facts for "Hotel partners program"
Its Free: There is no registration fee for our hotel partners. We do not charge for cooperating with us. We are flexible! Cooperation with us can be done through two major ways. A) Access to Extranet: Our Hotel partners have easy access to our extranet. Through extranet hoteliers can manage in real time, prices & availability, room types and reservations for one or multiple hotels. Our extranet supports unlimited languages. Each hotelier will be provided with a unique code & PIN number to access control panel. B)Through NET contracted prices. At this case, you are not getting involved with our extranet. This way you save important time and we do all the job instead of you. The only thing you have to do, is to inform us for stop sales in case of no availability! GDS & IDS Connectivity: We are part of Z Hospitality Group that runs the Hotel Representation Company Heartotel. Heartotel, provides representation and marketing services to independent hotels who wish to gain access to over 600,000 travel agents worldwide and manage rates & availability through a single interface for all the Internet Distribution Systems. Among the extra activities of the company is the optional management of properties under the Heartotel Brand. Hotel Assistance: All of our hotel partners have access to our online assistance. Through our live chat system, they can get maximum help in real time in order to get familiar with our extranet. Hoteliers can contact us through email, telephone & fax too.